You’re reading novel The Demonic King Chases His Wife: The Rebellious Good-for-Nothing Miss Chapter 542 online at LightNovelFree.com. Please use the follow button to get notification about the latest chapter next time when you visit LightNovelFree.com. Use F11 button to read novel in full-screen(PC only). Drop by anytime you want to read free – fast – latest novel. It’s great if you could leave a comment, share your opinion about the new chapters, new novel with others on the internet. We’ll do our best to bring you the finest, latest novel everyday. Enjoy! He was just about to go up and welcome them, but someone was a step ahead of him and threw him behind. Lan Xuan stretched out both hands to grab Su Luo, just about to cry thousands of tears to her. However, before he even got close to Su Luo, Nangong Liuyun had already picked him up and tossed him aside as if tossing out the garbage. Su Luo’s beautiful, star-like eyes were confused and innocent, she didn’t understand why these people was clearly awaiting her, what for? Wasn’t she here just as a spectator? Could it be they were waiting for her to come and host this event? “Scoff——you guys were stalling for time, just to wait for her?” The corner of Li Aoqiong’s mouth rose in disdain, freely pointing at Su Luo. Li Aoqiong had mistakenly believed that they were stalling for time to wait for the King of Crystal Stones to arrive. He never expected that after waiting for so long, it was for a still-wet-behind-the-ears, loathsome girl. After the trip to Amethyst Fish Palace, after the trio, with Beichen Ying among them, had suffered a series of losses, they finally realized one thing. Su Luo, this girl, was definitely the illegitimate daughter of the G.o.ddess of fortune. They completely had no need to question this point, because Su Luo’s luck was simply so good as to defy the natural order. This time, the operation to divide the loot involved a large element of luck, therefore, the three didn’t even need to think and directly aimed their gazes towards Su Luo. It was so much so that this time, they even tossed Nangong Liuyun, who they always placed high hopes on, to the back of their mind. Hearing Li Aoqiong’s taunting and disdainful words, the three had identical expressions of about to explode from anger. Li Aoqiong (1), by his name, you would know that he was arrogant and proud to the sky. He would turn his nose high to the sky, showing disdain, even the heavens were unworthy in his eyes, let alone a little girl? Nangong Liuyun was eager for the entire world to know that Su Luo was the person he fancied. He was making it impossible for her to avoid this, and at the same time, also let everyone clearly see that no one was allowed to l.u.s.t after his, Nangong Liuyun’s, woman. 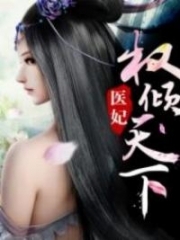 Li Aoqiong’s brows knotted slightly, suddenly, he was unhappy. “Nangong Liuyun, are you being serious?” Li Aoqiong’s eyes that were like millennium-year-old ice, stared fixedly at Nangong Liuyun. He was so furiously indignant that he nearly spit out fire. When Yaoyao had tearfully complained that Nangong Liuyun had a new flame, he was skeptical. When Beichen and his group called that girl Sister-in-law, he did not accept it as correct. Now, Nangong Liuyun admitted with his own words, how could this still be false? 1) Li Aoqiong: The Ao character ? in English means arrogant/proud/unyielding. The Qiong character ? in English means the sky/dome/vault/something high up. Thus his name is literally arrogant to the sky. You're reading novel The Demonic King Chases His Wife: The Rebellious Good-for-Nothing Miss Chapter 542 online at LightNovelFree.com. You can use the follow function to bookmark your favorite novel ( Only for registered users ). If you find any errors ( broken links, can't load photos, etc.. ), Please let us know so we can fix it as soon as possible. And when you start a conversation or debate about a certain topic with other people, please do not offend them just because you don't like their opinions. You're reading The Demonic King Chases His Wife: The Rebellious Good-for-Nothing Miss Chapter 542. This novel has been translated by Updating. Author: Su Xiao Nuan,苏小暖 already has 13169 views. Current Time is Apr-26-2019 15:53:24 PM.